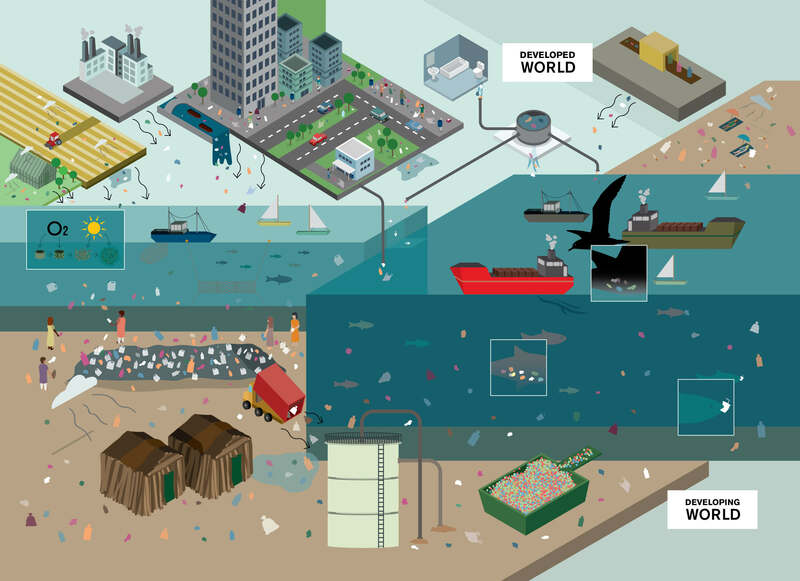 Welcome to our report on how to prevent marine plastic litter – now! It arrives at a critical moment in history where the global community decided to stand firmly behind a series of Sustainable Development Goals (SDGs), aiming at a better future for the entire humanity and the planet. Indeed, the work intersects major global challenges: how to minimise and eventually stop marine litter (part of SDG 14), whilst addressing the global crisis of inadequate waste and resources management for all (part of SDGs 11 and 12). If you have issues opening the link above, try the low-resolution version of the report here. Download the Portuguese version of the report. Marine litter is becoming a global challenge similar to climate change. Not only regarding its vast health and environmental impacts, but also because marine litter, exactly like climate change, is the global result of our local actions and inactions. Our report casts new light on these issues, outlining how sound waste and resources management around the World, and in particular in the Global South, can make a major difference in mitigating marine litter, achieving tangible effects within the near, rather than distant, future – hence, our focus on “Now!”.